My government is prepared to discuss with Boko Haram, for the release of the kidnapped Chibok girls, says President Muhammdu Buhari. Some Chibok girls, as recently shown in a new video by Boko Haram. In an interview with journalists in Nairobi, Kenya, at the weekend, Buhari reiterated the preparedness of the Federal Government to discuss the release of the Chibok girls kidnapped by Boko Haram terror group since 2014. NAN quoted the President as saying that the Nigerian government is ready to dialogue with bonafide leaders of the terror group who know the whereabouts of the girls. Some Chibok girls were reportedly killed during an air strike by the Nigerian Air Force (NAF). In the same vein, the Nigerian Air Force (NAF) has dismissed claims by the Boko Haram that it killed some of the abducted Chibok girls in an air raid at Sambisa Forest, a haven for terrorists in northeast Borno state. 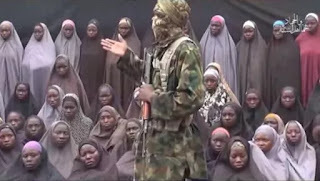 In a recent video released by Boko Haram few weeks ago, the terrorist group claimed that air strikes killed 40 of the over 200 girls abducted from their dormitory in a secondary school in Chibok on April 14, 2014. The Chief of Air Staff, Air Marshal Sadique Abubakar, denied the claims of the terrorist group, describing it as false and a complete propaganda. He made the clarification to reporters on Saturday during the commissioning of some newly completed projects at the Air Force Base in Kaduna State also in northern Nigeria. While describing the video released by the insurgents as diversionary, Air Marshal Abubakar said the ongoing air bombardment against the terrorists at Sambisa Forest was being carried out in professional manner to avoid a collateral damage. The Chief of Air Staff was at the 335 Base Services Group’s Air Force Base, Mando, Kaduna State to commission some projects initiated by his administration few months ago. Some of the projects include the Ground Training Centre Airmen Instructors Quarters and Recruits camp. The Air Force boss reiterated his administration’s determination to address accommodation challenges being faced by officials and improve their welfare which he said were key in boosting their morale towards winning the war against insurgents in the northeast and other operational areas in Nigeria. Announcing plans by his administration to ensure that both officials of the service have their own houses upon retirement, Air Marshal Abubakar asked them not to relent in their duties in protecting the territorial integrity of the nation. “our efforts and major gains” should not be overshadowed by the grim situation of still having Chibok girls in the terrorists’ captivity. “Boko Haram abduction has reduced by 99 percent, except in very remote villages where they harass citizens while looking for food,” Mr. Abubakar, a Brigadier-General, said. “Every day we rescue human beings. There’s no day we don’t kill terrorists. We launched operation crackdown on Sambisa. On Thursday, we rescued over 300 human beings. “From day one we moved to Maiduguri to establish command and control centre there, we have been rescuing human beings on daily basis. Many things have been done. 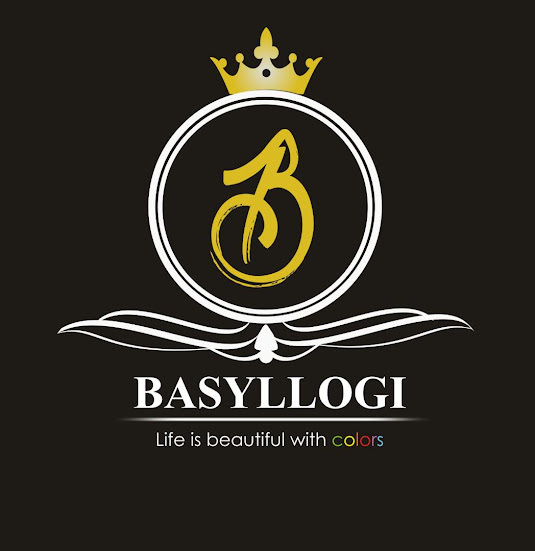 We are giving our best commitment. On April 14, 2014, 276 school girls -with 58 rescued – were abducted in Chibok, Borno state, by Boko Haram. The abduction sparked blaze of global outrage, and birthed BringBackOurGirls movement, campaigning for the rescue of the girls. Police officers last week blocked the campaigners who were marching to the State House to demand President Muhammadu Buhari ensure freedom for the Chibok girls. He urged them to appreciate the success of freeing other Nigerians “with one life and parents as well”. Mr. Abubakar said one of the victims rescued recently had been with the Boko Haram for four years. The spokesperson said he could not give a definite period of success of rescue operations. He said with ongoing operations, hope of rescuing all “Boko Haram captives, not just Chibok girls” should be kept alive. “That’s the most annoying thing,” he said. “Even if the constitution gives everybody the right to talk, there must he high level of decorum especially when some people are showing greatest commitment towards the rescue of these girls and every other persons. He said the military had been “extremely careful” not put lives of the Chibok girls in jeopardy. The size of the Sambisa forest, believed to be the base of the Boko Haram and location of the Chibok girls, is a disadvantage in the war, Mr Abubakar said.